Contracting businesses help fuel the economy in the Auburn area. 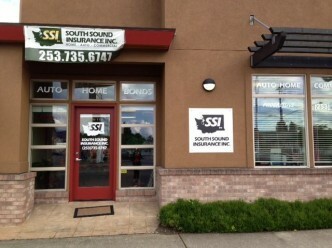 At South Sound Insurance Inc., we’re proud to help these entrepreneurs secure their businesses with superior insurance coverage. Our program for contractors can help plant protection for a variety of niche businesses, including landscapers. From arborists to architects, our agents are experienced in matching landscapers across specialties with the appropriate coverage. We routinely insure landscaping businesses in Auburn, Kent, Federal Way and the surrounding areas. As part of the landscaping insurance package at South Sound Insurance Inc., we offer coverages such as commercial general liability, workers compensation, commercial auto insurance, commercial umbrella, professional liability, commercial property, health insurance, pollution liability, and more. We can also help insure valuable equipment like lawn mowers, tillers, and aerators. We are familiar with the types of landscaping businesses that are especially common in the Auburn area. After learning the needs and exposures of our clients, we then turn to carriers such as to offer local landscapers the best price and policy. To get started, please request a quote.